The City of Tracy has contracted with HdL Companies to assist the business community for all their business licensing needs. 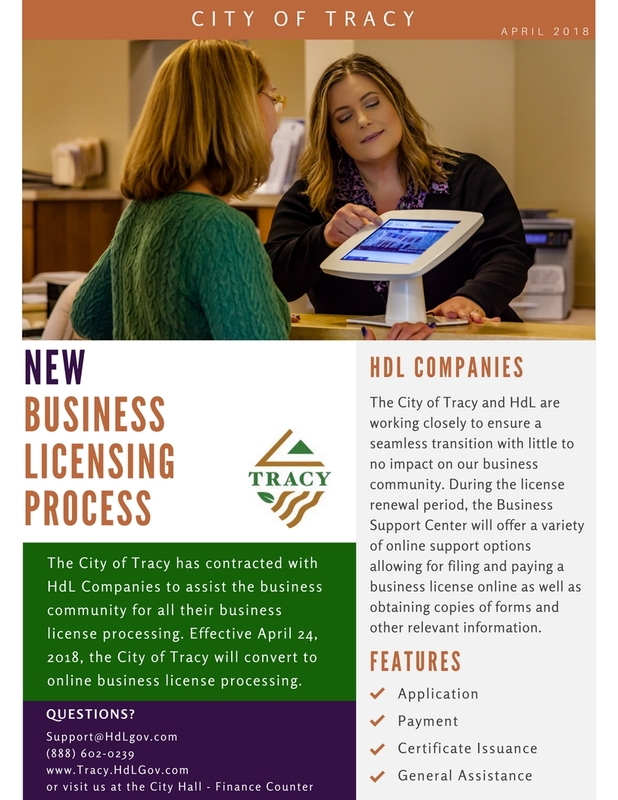 Effective April 25, 2018, the City of Tracy will convert to online business license processing. The HdL Business Support Center will provide the business community with support for all aspects of licensing including application, payment, certificate issuance, and general assistance. For more information please call (888) 602-0239, email Support@HdLgov.com, visit https://Tracy.HdLGov.com, or come in person to City Hall (333 Civic Center Plaza).